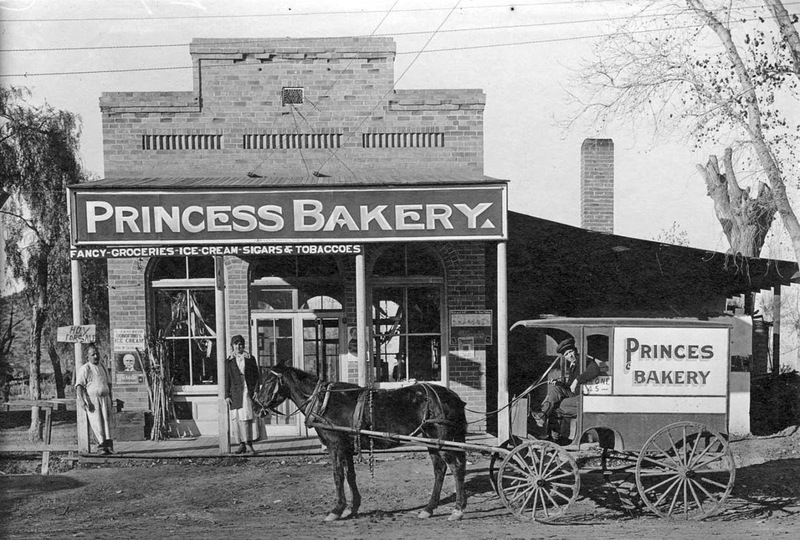 Since we're in Tempe, Arizona, and since it's 1912, let's go visit the Princess Bakery! Sure, there's a lot of good things for sale there! You know me, I want some Donofrio's ice cream! And according to the sign you can also get fancy groceries, sigars & tobaccoes. I'm not sure if they spelled that right? 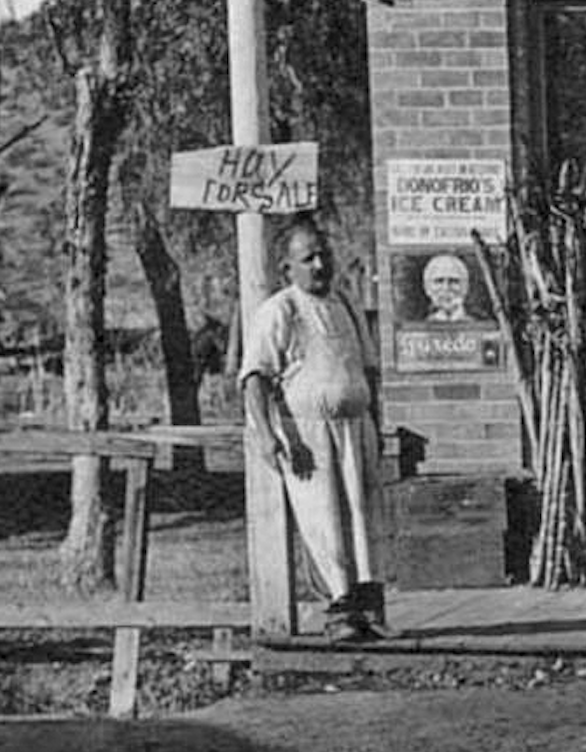 That's probably the owner there, leaning next to the sign that says, "Hay for Sale". 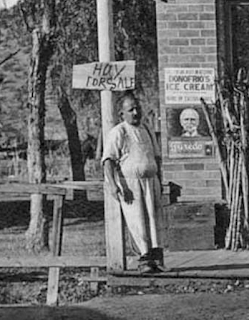 And if he's any advertisement for the ice cream, it's plenty rich and fattening! Now I'm getting really hungry! Lend me a penny, OK? Not sure who the girl is, it might be his wife, might be his daughter. She may just work there. I'll go ask her! How do I look? What? Never mind. 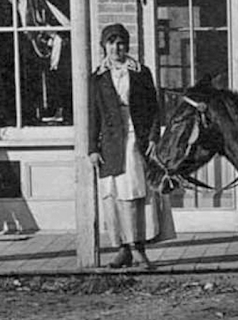 Maybe I'll just go look at the horse. Looks like a mighty fine setup they have there, with the wagon. Is that how you spell Princes? You know, since this is a bakery, I wonder if they have any cookies. I've been feeling a mite scrawny lately, and someone told me that I should eat some cookies. And I think I can smell some fresh-baked bread! 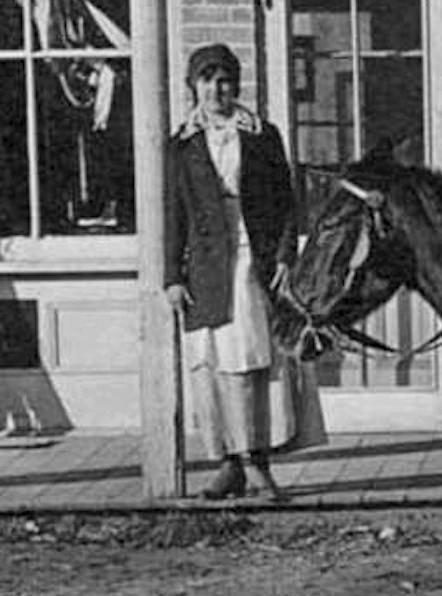 You could, too, if you stepped away from the horse! Thank you for visiting Tempe in 1912 with me! This kind of looks like the Hackett House but I am not sure. 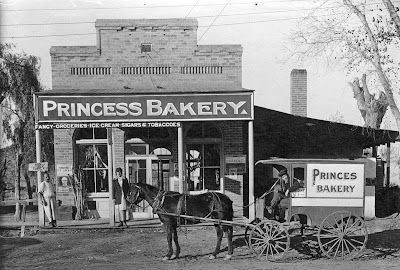 Where was this bakery? Mill Avenue. Where is the Hackett House?